Tactile Turn, using premium materials and exceptional craftsmanship, created the Shaker pen to last for generations. 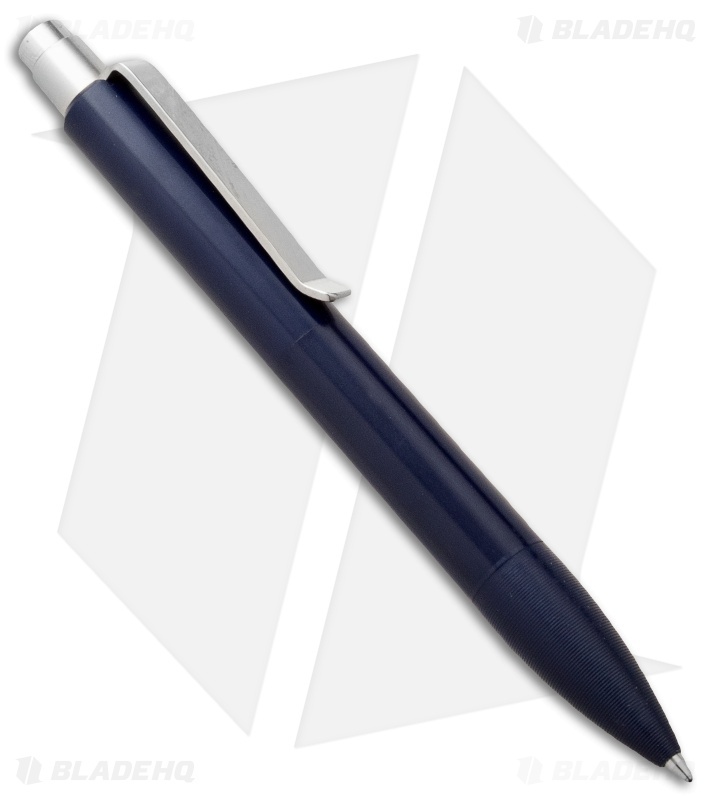 This one has a dark blue anodized 7075 aluminum body with a strong 301 stainless steel clip. The Shaker pen includes a Schmidt EasyFlow 9000 (Medium) pen refill, but you may choose from an extensive list of pen refills, which includes the Fisher Space Pen PR4 refill (sold separately). Like many extraordinary products, beauty is in the details. Fine ridges on the tip provide extra grip, akin to knurling, while maintaining a fine balance of comfort over extended use. The "joint" for the threaded body of the pen is seamless, an impressive display of refinement and precise tolerances. An additional feature worth mentioning is the soft, quiet click mechanism, which is intended to spare the nerves of those around you. Also available from Tactile Turn is the Mover pen. It measures just 1/2 inch longer and comes with a Pilot G2 ink gel cartridge.